Make sure that your vehicle is ready for the summer and recharge your air conditioning system with a full aircon regas in Milton Keynes from just £47 excluding VAT. We have a number of appointment slots available right now! A lot of drivers are booking into garages to have their air conditioning recharged in Milton Keynes, and for two main reasons; One – more than two thirds of modern vehicles come with an air conditioning system installed. And two – dealership garages are not doing a good enough job at checking aircon system performance. Throughout the year, your vehicle could use up to 15% of its air conditioning refrigerant – considerably slashing its performance and increasing your fuel costs. 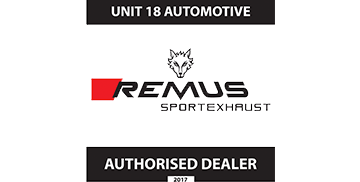 Book an aircon regas in Milton Keynes with Unit18 to ensure that your AC is fully recharged, and that all of the necessary components are working as they should, safely. Our aircon mechanics use the latest regassing software with every appointment. We will replace and recharge all of the lubricants, seals and refrigerant so that you can get the most from your air conditioning unit. Alternatively, you can have your aircon regassed during your annual car service.